More funding from the LEGO foundation. Ella Rhodes reports. 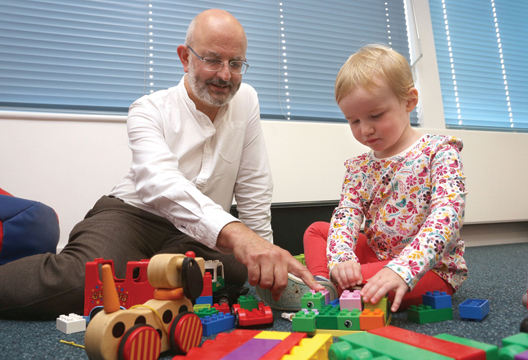 The Centre for Research on Play in Education, Development and Learning, or PEDAL, has been funded for a further five years by the Lego Foundation. The news comes as the centre, based at the University of Cambridge Faculty of Education, launches an online advice and information hub featuring evidence on play from academics. The new PEDAL Hub offers teachers, parents, policy-makers the latest research and free resources on play, together with tips on how they can use the findings to support their own children or to inform their work or study. The site includes specially-produced ‘Play Pieces’ aimed at providing information on concepts such as pretend play and self-regulation, together with ways to translate the research into action. PEDAL was founded to address a gap in the research on the role of play in children’s education, learning and development, and was established thanks to a £4 million donation from the LEGO foundation in 2015. The foundation is continuing its support with a further £2.6 million until May 2023.